After our layover in Iceland, Mat and I headed to Paris for 4 days. I had a few concerns about a trip to Paris at 30 weeks pregnant. Would it be too much walking? Would it be awkward to avoid cheese and undercooked meat without a mastery of the language? Would our Airbnb be comfortable? 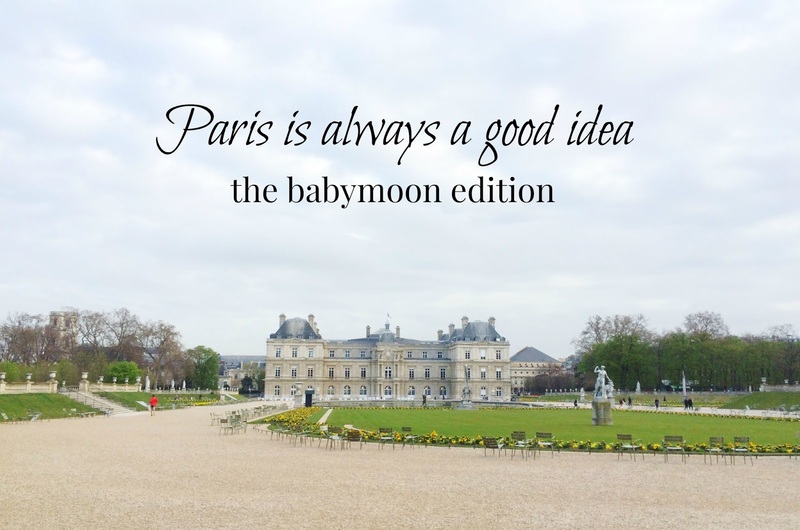 All of the concerns I had were erased I heartily recommend Paris as a babymoon even if you are later in your pregnancy! After a few pregnancy complications the week before leaving, I wasn't sure how much walking I would be able to do. However, I learned that there is no better city to have to waddle around as it allows you to take in every stunning detail. There is magic that unfolds as you take in the city slowly that I hadn't experienced last time I was there. Plus, there is a cafe waiting around every corner if you want to sit! We found Uber to be so user-friendly in Paris (even more so than cabs) because you don't even need to know French to tell them where you want to go. We didn't take a bus or river tour, but both of those options would be perfect if you weren't up for walking. In terms of food, I found it very easy to avoid non-pasteurized cheeses and was easily able to have my meat cooked well rather than rare. In fact, most French waiters/waitresses would ask me before I could ask them because they saw I was pregnant. I was amazed time and again how incredibly kind the French were; it was especially endearing to have them gush with excitement in another language and know that they were asking questions about the baby. And as luck would have it, our Airbnb couldn't have been more lovely. 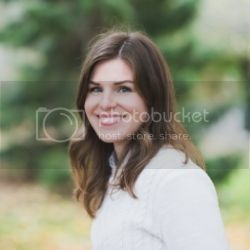 Sometimes you take a look at the pictures online and can only hope it will be as cute. We found a cozy apartment that suited our needs perfectly and it was every bit what the pictures portrayed. I really liked having a small apartment for this trip as it gave us more space than any of the hotels we had researched. It allowed me to take a nap if needed and Mat could have a separate room. The kitchen was small, but it was perfect for stocking with produce from the neighbourhood market and a few things that I wanted to have on hand. And the added bonus was our sweet hosts who gave us inside tips for restaurants that felt especially local. As always, feel free to contact me if you want more info! Jardin du Luxembourg- our Airbnb was in this neighbourhood. 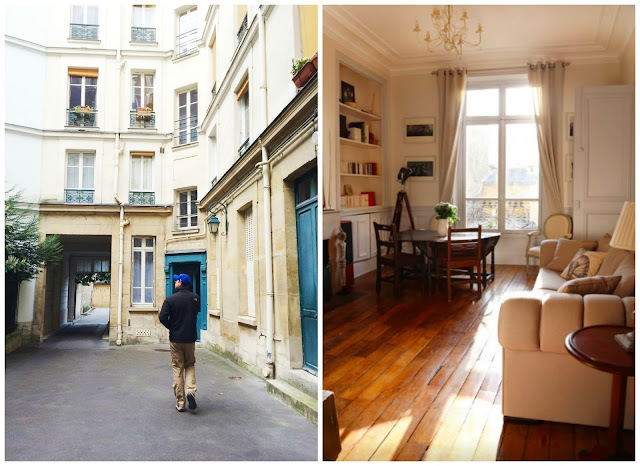 We sipped coffee and ate croissants as early morning joggers and children headed to school; it was such a stunning slice of Parisian life. 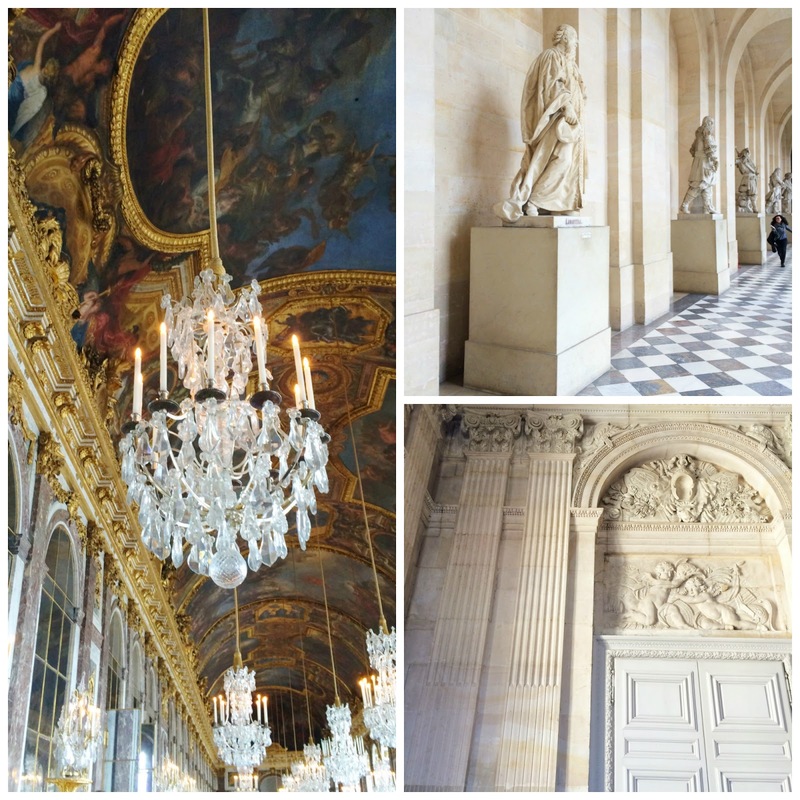 Versailles- We did a self-guided tour of Versailles and spent half a day there. The train ride was easy and the palace was incredible. Sadly, I wasn't up for walking in the gardens, but it started to rain and so we will add it to the list for next time! Musee de l'Orangerie: I highly recommend this museum for a smaller dose of the art that Paris is so famous for. While I love the Louvre and Musee D'Orsay, this museum also blew me away. Think quality over quantity- the Monet's stretch around the walls of two huge rooms in a way that you'll never forget. Le Relais de L'Entrecote- Bustling with locals, lively service and perfect steak frites. When that's all that is on the menu, you know it's going to be good. I still dream about the sauce. Chez Fernand- Our Airbnb hosts know the chef at this restaurant and it didn't disappoint. From the red checkered table cloth to their house specialty of beef bourgeoning, it was delightfully french. Laduree- I know it's cliche and Mat certainly didn't understand the fuss, but I would wager that no trip to Paris should be complete without a Macaroon or two (or 5). Pharmacie- I did a lot of research before our trip about brands and items that I wanted to get while in Paris. For other beauty junkies, this was such a fun place to stock up on goodies! 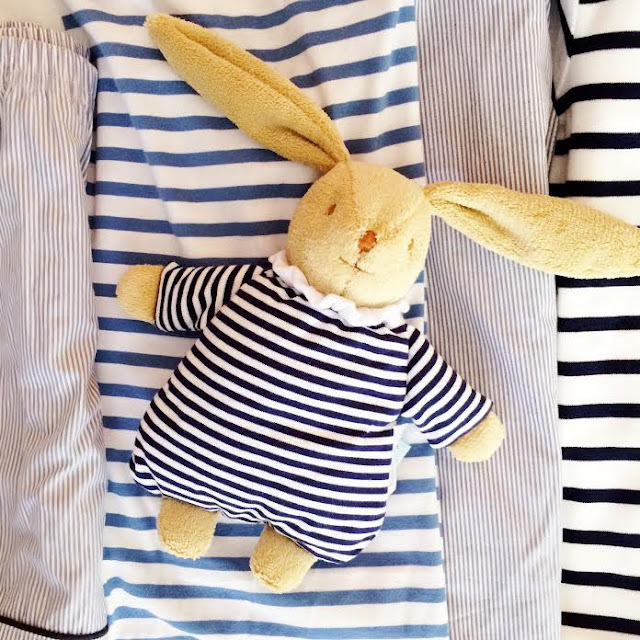 Monoprix- They had such a cute selection of reasonably priced baby and children's clothes! Before going on any trip, I like to create a custom Google Map that I then use as a guide on our trip. I add any spots that I've researched and may be interested in visiting/eating etc and then if you're ever wandering around a city, you can see which points of interest you're closest to. Two guides that I found especially helpful were by Aspiring Kennedy and Glimpse Guides. I added many of their notes and recommendations to my map. I also added many of our reviews and insights to the map after the fact so that I can reference for (hopefully) any future trip! What an amazing babymoon!! So glad you were feeling well and could really take in all the city has to offer! Pharmacie sounds like my kind of place, pretty sure I would be in heaven! um, what an absolutely amazing babymoon! i would love to go to paris for my babymoon (when the time comes lol). that is so nice that all the waiters and everyone were nice and friendly, and asking you about meat/cheese etc. not gonna lie, i would eat my weight in pastries if i was there when pregnant. heck, i ate my weight in pastries last year when we went and i was definitely not pregnant haha. 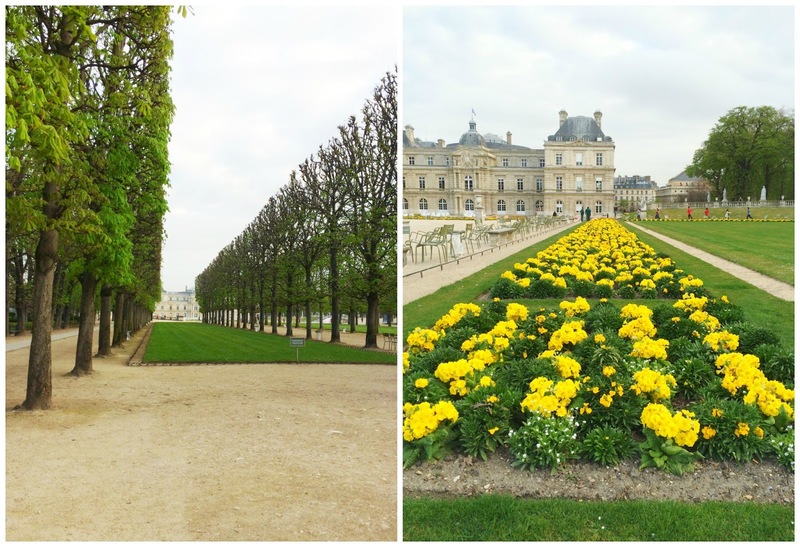 i LOVED versailles, we did a bike tour.. which i also would not do pregnant haha but the gardens were gorgeous - so far and long though, so totally understand why you weren't up for walking. they were no joke. and how cute are all those striped things?! love.